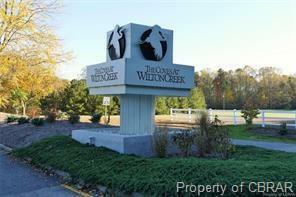 WATERFRONT & AFFORDABLE! Gorgeous views from most every room. Snuggle in for a treat in this cute condo for first floor living. Just come home and relax and enjoy all the pleasures of waterfront living in a carefree environment. 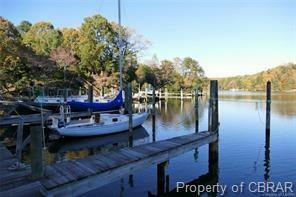 You have a pool, crabbing, fishing, kayaking and boating. 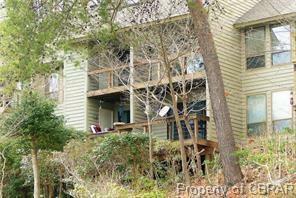 Wonderful decks off the great room and master bedroom to enjoy your views of Wilton Creek. 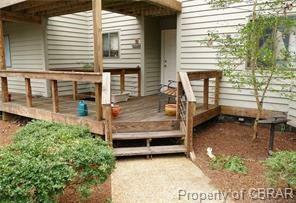 The front deck is spacious for relaxing in the tranquility of this condo setting tucked into a very natural treed area. Thee kitchen has been renovated with granite counter tops and lots of beautiful new custom maple cabinets. Beautiful club house for entertaining with a full kitchen. Pool is very accessible in a lovely setting and a sauna room is just steps away. There's an exercise room, library and workshop within the clubhouse. Don't forget the boat ramp and places for storing your boat or RV. Wonderful area for those long walks or for a game of tennis. Why pay rent for a slip when you can rent one as needed. New HVAC 2014. Easy commute to Mathews, Gloucester, Deltaville & Northern Neck. There are currently 8 slips available for rent @ approx. $50 mo. This condo being sold "as is".